CHILDREN, GRANDCHILDREN AND FUTURE GENERATIONS OF AMERICANS! IT WILL BE IMPOSSIBLE TO EVER PAY OFF THE MASSIVE DEBT THEY WILL INHERIT! Support the American Voter Revolution! The American Voter Revolution is a grassroots movement that is beholden to no special interests. Therefore, it depends entirely upon individual donors like you to support its work. Your financial support is critical to keeping the day-to-day operations of the American Voter Revolution going! It allows us to expand the outreach of the coalition and recruit patriotic citizens that are committed to returning our government to its constitutional limits and to protecting our freedoms. It takes time and money to advance political reforms in our corrupt government. The American people can force the needed reforms if everyone who believes in the AVR’s principles will work to recruit other like minded citizens with Judeo-Christian ethics and traditional family values that will make a small financial contribution. We don’t need the mega-bankers, the giant multi-national corporations, the lobbyists, special interest groups, rich individual donors or the powerful unions. We just need a little help from all the common sense middle-class American citizens and God’s blessing upon this just and worthy cause! It is time for every patriotic American to stand up and demand real governmental reforms that actually benefit the American people! Your donation today helps us mobilize Americans to raise their voices and demand that elected officials represent the people’s interests, not special interests or their own selfish interests! The American Voter Revolution is a non-partisan dedicated to building grassroots support from common sense American voters in every Congressional District throughout the fifty United States of America. 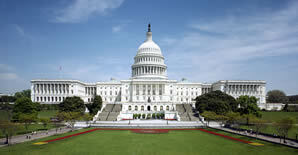 The main objective of the AVR’s voter coalition is to eliminate the career politicians in Washington, DC. By voting for the challenger in every congressional, senatorial and presidential election cycle, we can impose “VOTER SANCTIONED ONE TERM LIMITS”! When we are able to accomplish this, we believe it will eliminate ninety percent (90%) of the problems in our current corrupt political system of government. Contributions to the American Voter Revolution are not tax deductible. We want to pay our fair and legal share of taxes to the IRS because it is the right thing to do and so they will have no legitimate reason for an audit. Be a supporter of the American Voter Revolution by making a contribution and spreading the word about the AVR voter coalition. We owe it to our children, grandchildren and the future generations to get involved in the American Voter Revolution to stand up and fight for what we believe to be right; before it is forever too late!